Construction on Faraday Future's Nevada EV manufacturing plant has stopped, putting projected electric car delivery dates at risk, according to the Financial Times. The Chinese company, backed by electronic giant LeEco, is overdue on millions of dollars of bills to its general contractor Aecom, Nevada state treasurer Dan Schwartz told the FT. Construction is set to resume early next year, but it's unlikely the factory – still in the early phases of construction – will be ready to produce vehicles by 2017. Builder Aecom didn't confirm if Faraday had missed any bill payments, and said that it remains committed to the project. 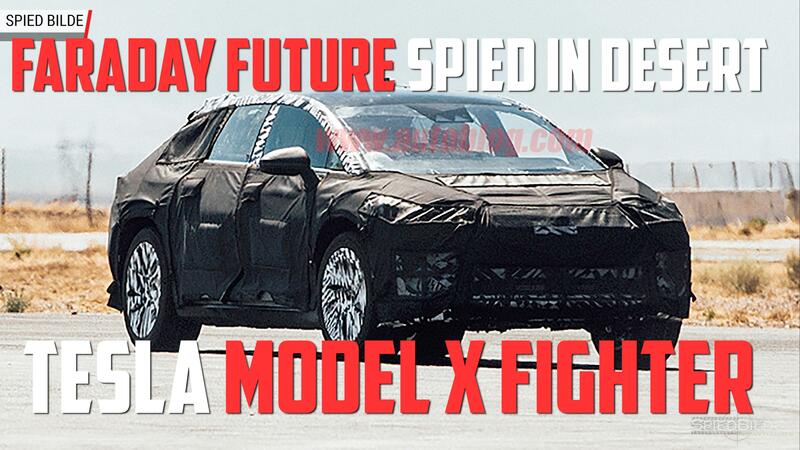 "Faraday Future is temporarily adjusting their construction schedule with plans to resume in early 2017," it said. Faraday Future has already shown the insane 1,000 HP FFZero1 (above). The more important model is a Tesla-fighting production EV which is supposed to be unveiled at CES 2017 in just over a month (see the teaser video, below). If that doesn't seem ambitious enough, LeEco founder and billionaire Jia Yueting has other EV irons in the fire. LeEco itself is working on the LeSee that it plans to build in China, and Yueting is reportedly behind yet another Tesla-like EV in the US, the Lucid Motors' Atieva. To manufacture all those vehicles, he's spending $1 billion on the Nevada plant and $1.8 billion on a factory in China. On top of all that, the company recently bought US TV maker Vizio for $2 billion. In July, however, Schwartz threw warning flags about Faraday's financing. While Yueting is China's 30th richest man with an estimated $6.3 billion, he's reportedly financing the EV ventures in part with loans backed by stock from his electronics firm, which has fallen 30 percent since June 3rd. "You can see where this leads," Schwartz told Bloomberg in July. "His Internet company is successful, but that doesn't generate the billions of dollars he'd need. Where's he going to get the money?" Yueting recently admitted that the company is overextended and announced a plan to cut costs. He has also reportedly secured $600 million in new financing. However, former Lucid Motors employee Martin Eberhard questioned LeEco's multiple-EV strategy, saying it's "being run like an old-school Hong Kong company." Despite being overextended, Faraday has attracted top-flight EV talent from Tesla, BMW and other car companies. It recently showed off the "world's highest energy density" battery it co-developed with LG Chem. A lot will depend on the success of Faraday's production car prototype at CES 2017, a former employee told the FT. "It will be a long while before there is a production car. If CES goes badly, it's all over." This article by Steve Dent originally ran on Engadget, the definitive guide to this connected life.